October 2, 2014…Nashville, TN…Officially releasing October 14, sibling duo High Valley’s new 10-song album, County Line, is available for the deeply discounted price of $3.99 on iTunes for the next twelve days. Fans who pre-order High Valley’s new project, County Line, now will receive the instant-grat track “Make You Mine,” featuring Ricky Skaggs. County Line is produced by Billboard Producer of the Year, Seth Mosley. The title track is already spinning on Sirius XM’s The Highway. High Valley’s Brad Rempel co-wrote nine of the ten tracks on the duo’s debut disc. The talented songwriter also co-wrote the moving “I Remember You” on Trisha Yearwood’s upcoming CD, Prize Fighter. Two weeks following the release of County Line, High Valley will head north for their Canadian headlining tour through December. Earlier this year, Brad and Curtis Rempel opened for more than 30,000 fans while on tour with Shania Twain in Alberta. Brothers Brad (lead vocals, acoustic guitar) and Curtis Rempel (harmony vocals, mandolin) make up High Valley. The sibling duo initially found inspiration in the music of country music icons Alabama, Rascal Flatts, Diamond Rio and Shenandoah while growing up listening to their older sisters’ records. 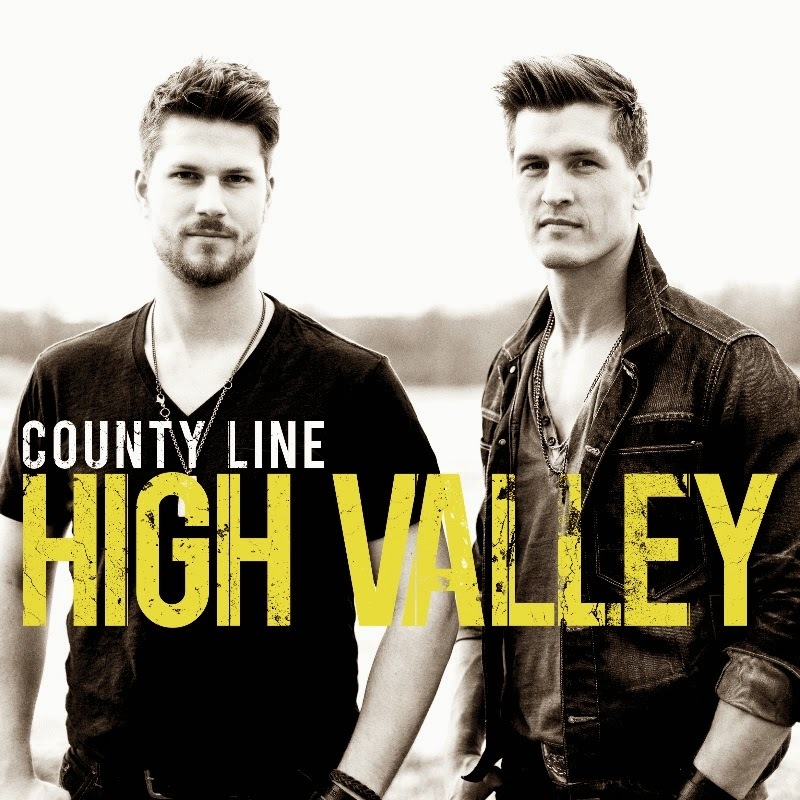 After seventeen years of touring and opening for the likes of superstars Shania Twain, Little Big Town and Alan Jackson in their northern homeland, Canadian CMA Awards Interactive Artist of the Year winners High Valley have made their U.S. debut with the release of their full-length album, County Line, on October 14, wherever digital music is sold! Get to know more about High Valley on Facebook, Twitter and their official website.